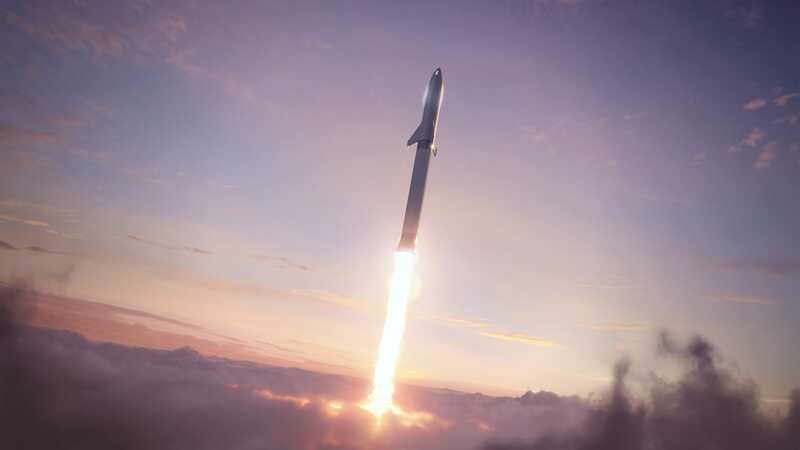 SpaceX; NASA; Mark Brake/Getty Images; Samantha Lee/Business InsiderElon Musk is making a ‘radical’ change to the design of SpaceX’s mega-rocket and spaceship for travel to Mars. Elon Musk, the founder of SpaceX, said a “radical change” is coming to the design of the company’s reusable Big Falcon Rocket (BFR) for deep-space travel. SpaceX‘s current workhorse rocket, Falcon 9, will no longer be upgraded for reusability. Instead, Musk said, the company will “accelerate” development of its Mars vehicle. Musk has said he wants to launch a cargo mission toward Mars by 2022 and a crewed mission there in 2024. Over the weekend, Musk said a “radical change” is coming to the design of the Big Falcon Rocket, or BFR – a 39-story, fully reusable rocket-booster-and-spaceship system for deep-space travel. Now he’s released new details about the redesign to BFR’s two main stages or sections, originally called the Big Falcon Spaceship and Big Falcon Booster. He also renamed those parts to “Starship” and “Super Heavy,” respectively. 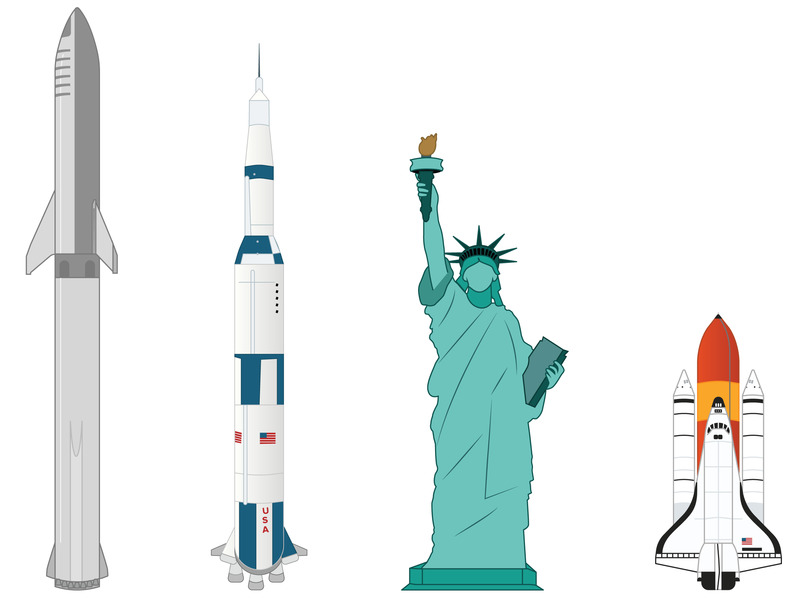 Olivia Reaney/Business InsiderThe size of SpaceX’s BFR compared to NASA’s Saturn V rocket, the Statue of Liberty, and the space shuttle. It’s unclear what prompted the new names and designs, but this is not the first time Musk has revealed a head-spinning change in his notional Mars program. Nor is it likely to be the last. Musk started SpaceX in 2002 out of frustration that NASA didn’t have a concrete plan to send people to Mars. The company has since disrupted the global market for rockets with lower-cost and higher-performance launch vehicles. Amid all of that commercial activity, Musk worked on a plan to “back up” the human race by sending 1 million people to Mars. By the end of 2017, he’d shrunk the system by about 50 feet and renamed it BFR. As of September 2018, the system was back to about 387 feet tall and the design included movable wings that also function as landing legs. 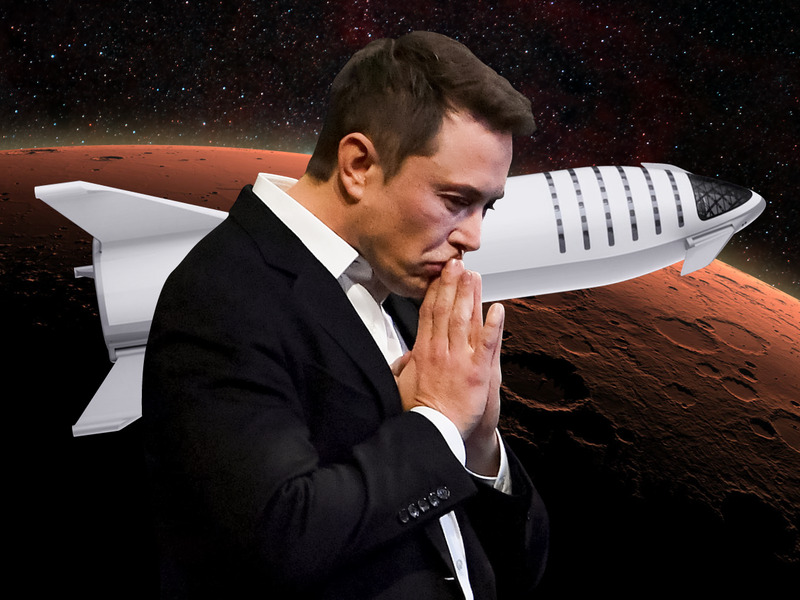 That plan, which Musk described as “the final iteration,” called for a 180-foot-tall spaceship that would sit atop a 219-foot-tall rocket booster. Musk said this would enable SpaceX to ferry as many as 100 passengers to Mars. Now, however, Musk says the renamed Super Heavy booster is needed for the Starship “to escape Earth’s deep gravity well.” But he added that the booster is “not needed for other planets or moons.” The tech mogul has yet to provide a new illustration that incorporates these changes. Musk also said he has scrapped the plan to use the Falcon 9 as a “mini BFR” to test aspects of a full-scale system. In addition, he defended the name “Starship,” saying later versions of the vehicle could reach nearby star systems – not just worlds within our solar system. It is not yet known if and how the design changes might affect the planned spaceflight of Yusaku Maezawa, a Japanese billionaire and art collector slated to be the first passenger on the BFR. Along with eight artists, Maezawa intends to complete a week-long mission around the moon in 2023 (and has likely paid SpaceX hundreds of millions of dollars for the privilege). The new “#dearMoon” mission is supposed to be the first step toward eventually getting BFR to Mars. Musk has said he wants to launch an unmanned mission to the red planet by 2022, followed by a manned mission by 2024. SpaceX is in the midst of building a spaceship prototype under a giant tent at the Port of Los Angeles. How the design change might affect that work is now an 18-story-tall question mark.